CanaDad: A Land of LEGO? We are big LEGO fans. We've been building Duplo and LEGO for years. I loved it as a kid and now my boys love it. Oh yes, I still love it too. Our house is filled with those multicoloured bricks and the limitless creations built out of them. Sure I curse when I step on one, but it's a small price to pay. 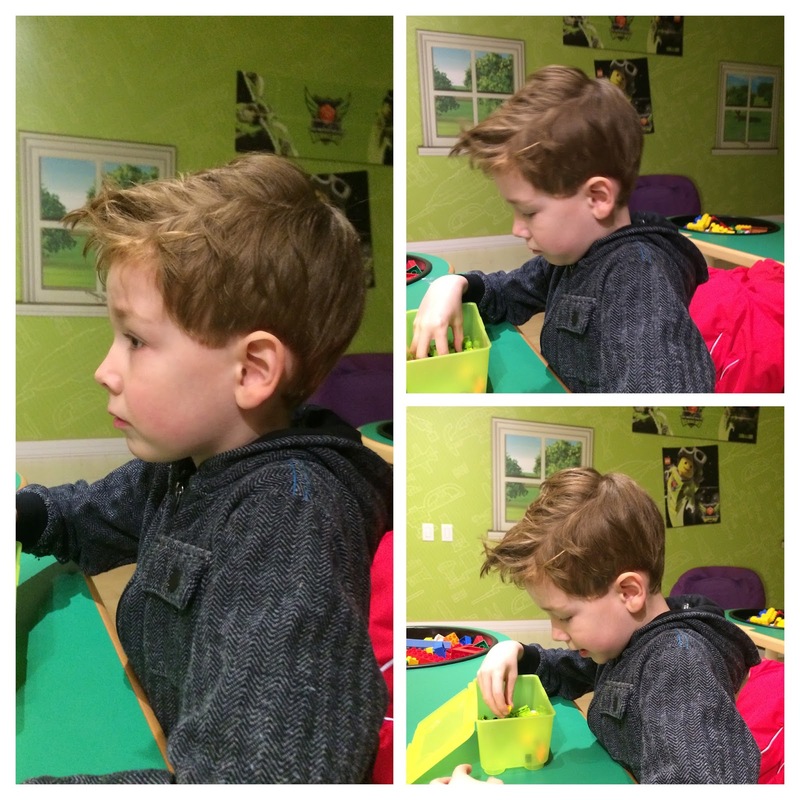 Recently we had the opportunity to visit the LEGOland Discovery Centre in Toronto. We had a great time. We trained like LEGO ninjas in the Ninjago exhibit. We built race cars, and raced them down ramps. We played in the playground with giant foam bricks and danced with the LEGO Friends. It was a nice balance for two very different boys of different ages. The big guy was thrilled to be able to trade some of his minifigures having recently gotten five of the same character in the most recent minifigure series (what are the odds of that?!). The staff were great. They loved the LEGO as much as the kids and were quick to share their excitement. There is a good variety of activities. The cafe could be improved - there's not much beyond pizza and sandwhiches, but you're not their for the food. And of course you have run the gauntlet of the retail store as you exit, but to be expected. They do have a great selection of LEGO products. The big guy was keen to attend the Master Builder Academy. He clearly views this as a trial run for his post-secondary endaevours given how his current career of choice is Master Builder. In the Academy we built our very own aliens. We had such a good time that when it came time to ask the big guy what he wanted to do for his brithday the answer was easy: LEGOland!